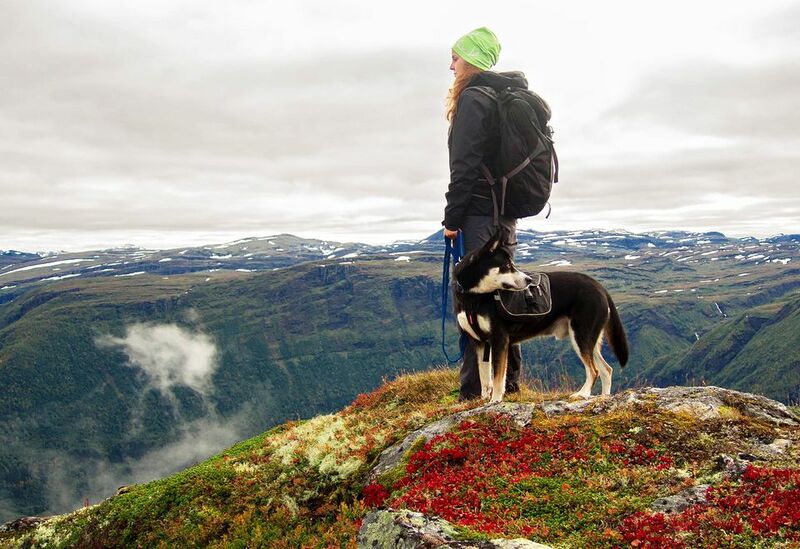 Traveling to Norway with your dog (or cat, for that matter) is no longer the hassle it once was. As long as you keep in mind a few pet travel requirements, taking your dog to Norway will be quite easy. The rules for cats are the same. Note that the completion of vaccinations and vet forms can take 3-4 months, so if you want to take your dog to Norway, plan early. Tattooed dogs and cats won't qualify in favor of microchips. The most important thing to know when taking your dog to Norway is that three types of pet regulations exist depending on whether you enter Norway from Sweden, from an EU country, or from a non-EU country. First of all, get an EU pet passport from your vet. Your licensed veterinarian will be able to fill out the EU pet passport as required. To take dogs to Norway from within the EU, the dog must be vaccinated for rabies at least 21 prior to travel, tested for rabies antibodies by an EU-approved lab, treated for tapeworm, and possess a pet passport showing the information. When arriving in Norway with the dog or cat, take the pet to the customs upon arrival (red zone). Fun fact: if you take your dog into Norway coming from Sweden, you are exempt from all requirements. Requirements for pet travel are slightly stricter. Like travelers from the EU, you should also get your dog a pet passport if at all possible or have your vet complete the Veterinary Certificate. In addition, you will also need a Third Country Certificate available from the EU Food Safety Department or the Norwegian Department of Agriculture. Taking your dog to Norway from a non-EU country requires the dog (or cat) to be vaccinated for rabies, antibody tested by an EU-approved lab, and be treated for tapeworm before traveling to Norway. You must notify the Norwegian District Office about the time and place of arrival at least 48 hours prior. When you arrive in Norway with your dog, follow the red 'Goods to Declare' line at ​customs. Norwegian customs personnel will help you with the process and will check the dog's (or cat's) papers. When you book your flights to Norway, don't forget to notify your airline that you wish to take your cat or dog to Norway with you. They will check for room onboard and there will be a one-way charge. In many cases—but this depends entirely on the specific airline you choose—the charge for a dog or cat in the cabin is around $80-120, and as such, a lot cheaper than transporting a larger dog in cargo. Plus, you get to keep your pet with you at all times and do not have to worry about the pet spending hours in a cold, isolated cargo hold area. If you wish to sedate your pet for the trip, ask whether the airline's animal transportation rules allow this. It is also helpful to check with your vet before planning any long trips, as your pet's health should come before any stressful transportation bookings. Please note that Norway renews animal import regulations annually. By the time you travel, there may be slight procedural changes for dogs. Always check for official updates before taking your dog to Norway.